Maura A. Snabes, Esq., CES, CLTP, NTP, practices in the area of Real Estate and Corporate Law. 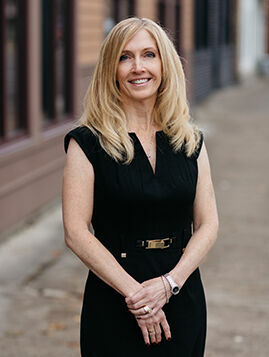 Maura has been the corporate legal counsel for a title company since 1994 and has been with Corporate Settlement Solutions since 2002, as the underwriting and claims counsel. She is a Certified Exchange Specialist® as certified by the Federation of Exchange Accommodators and is the founder and co-owner of Corporate Title Exchange Services which was founded in 1995 and which is a qualified intermediary for forward, reverse and build-to-suit tax-deferred exchanges. She regularly gives seminars on 1031 exchanges and other real estate matters to real estate and tax professionals in Northern Michigan. Maura is highly involved with the community and is a member of the State Bar of Michigan; Charlevoix-Emmet Bar Association; Phi Alpha Delta Law Fraternity; Antrim-Charlevoix-Kalkaska Association of Realtors, is chair of the Professional Designation Board of Review for the Michigan Land Title Association (MLTA) and is a member of the MLTA Legislative Steering Committee. She is also a licensed Michigan real estate broker, Michigan Certified Land Title Professional (CLTP), ALTA National Title Professional (NTP) and is an ICLE contributor. Maura lives with her husband and three children in Charlevoix, Michigan and enjoys singing and participating in and watching competitive sports.